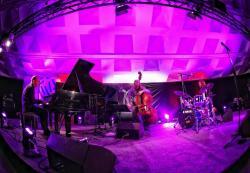 French jazz trio "İnitiatives" brilliantly performed at Baku International Jazz Festival. 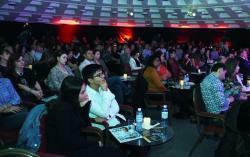 The concert took place at the Rotunda Jazz Club on October 20 with the support of the French Embassy in Azerbaijan and the Institut Français Azerbaidjan, Azertag reported. The musicians held a press conference before the concert. 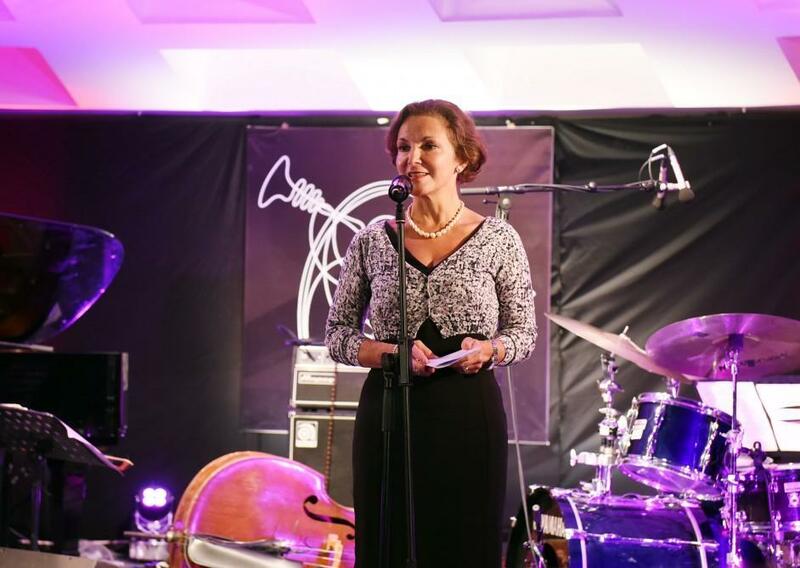 French Ambassador to Azerbaijan, Aurelia Bouchez, highly appreciated the Baku Jazz Festival and said that such events have a positive effect on the development and strengthening of cultural ties between the countries. "France and Azerbaijan are cooperating in many areas, in particular, in the sphere of culture and art. Today’s evening is an example. Our musicians come to this grand festival from year to year, show their skills. I want to thank the festival organizers for this musical holiday, which they present to us every year. I want to note that, in turn, Azerbaijani musicians also come on tour to France and enjoy great success," the ambassador added. 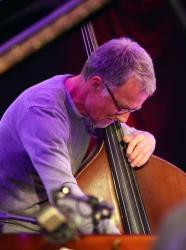 The leader of the jazz band, pianist Jean-Christophe Cholet, brought to the attention that besides him, the trio includes bassist Gildas Bokle and drummer Simon Bernie. "We are visiting Baku for the first time, I am delighted with your capital. It is a very hospitable and beautiful city, it reminds me of Paris with its romance. We are honored to take part in such a wonderful festival, everything is organized at a high level. 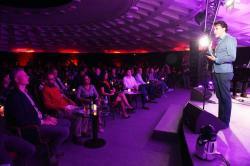 Were are very pleased that the Baku public appreciates jazz music and understands this genre. I am sure that our performance will also please the listeners," the musician concluded. 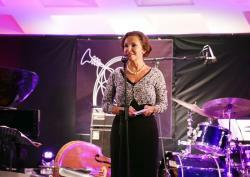 The organizer of the Baku International Jazz Festival Leyla Efendiyeva noted that in the future a large number of projects are planned together with French jazz performers. She expressed gratitude to the French Embassy for its assistance in hosting the festival. Then the concert of the "Initiatives” trio took place. Throughout the evening, the musicians delighted the audience with melodic compositions and improvisations. The Baku Jazz Festival is a forum and musical festival including education (seminars, master classes), competition ("Best Jazz Performer"), a "Kids jazz day", art and photo exhibitions, jam sessions and jazz concerts with the participation of best performers of the world of jazz. It has become a member of the Europe Jazz Network, which brings together 115 members from 34 countries. Each year the festival prepares programs of great interest and diversity. The festival features extensive and diverse program. Nurlan Abdullazadeh and Afgan Rasul will perform at the Rotunda Jazz Club on October 22. Moreover, Elvin Bashirov's band will perform a concert at Landmark. 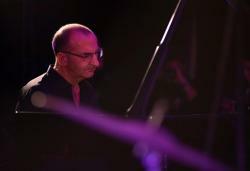 Rotunda Jazz Club will also host a concert of Can Canakkaya and Kagan Yildiz (Turkey) on October 23. A concert of Kodaly Spice Jazz band will be held at Landmark as well. Martin Salemi Trio (Belgium) will perform at the Rotunda Jazz Club on October 24. Helge Lien Trio (Norway) will delight you with their fascinating music at the Rotunda Jazz Club on October 25. A concert of Michael Pipoquinha (Brazil) await jazz lovers at the Rotunda Jazz Club on October 26. Belgian Ruben Hein trio will perform at Rotunda Jazz Club on October 27. The final concert will be held at the International Mugham Center. Famous U.S. musicians Grégoire Maret and Christie Dashiell will perform at International Mugham Center on October 28.